In this blog post, I introduced a method for increasing student participation called the 5 Step Questioning Strategy. The fifth step of this strategy involves calling on students for the answer, with no hand raising—instead calling on non-volunteers in a random manner. Here are seven different ways to facilitate calling on non-volunteers in a random manner. 1. Popsicle Sticks: The tried and true method for many teachers. This strategy can easily be adapted for all grades and ages. With this strategy, the teacher writes each student’s name on a popsicle stick and then places the student sticks in a cup or can. After asking a question and providing 3-5 seconds think time, the teacher pulls a stick and calls on the student whose stick was pulled. Special note: Once the student answers, he/she is not off the hook; the stick is returned to the cup. 2. Response Boards: Each student has a response board at his/her seat. Once a question is posed, all students write an answer to the question on the response board. Then they hold up their answers so the teacher can see their responses. White Boards: One of the most popular types of response boards. Each student has a mini white board, dry erase marker, and eraser or cloth. Students write their ideas/thinking/answers on the white board. Laminated File Folders: If you don’t have white boards, you can make your own! Laminate file folders with heavy laminate. Each student has a folder, dry erase marker, and eraser or cloth. Students write their ideas/thinking/answers inside the file folder and then shut the folder to cover their answer. Once most appear finished, teacher has students hold up folders (still shut). Teacher gives signal, such as “1-2-3 Show Me” and students drop folder cover to show the answer written inside. 3. Playing Cards: This method requires two decks of playing cards. The first deck is for the teacher’s use. The second deck is for the students’ use. 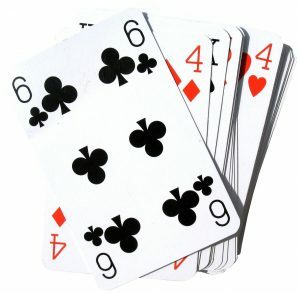 Each student receives one card from the second deck. The teacher then shuffles his/her deck of cards and then pulls a card from the deck. Whatever student’s card is called is the student who is required to answer. This can be done with a regular deck of cards, or even decks from games like Old Maid, etc. 4. 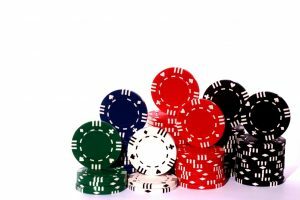 Poker Chips: Poker chips can be used in several ways to increase student participation. First, they can be used is as student talking chips. At the beginning of class, pass out two or three poker chips to every student. When a student answers a question or responds to the discussion, he/she turns in a talking chip to the teacher. Each student is required to use all of his/her chips by the end of class. Poker chips can also be used in a similar manner to popsicle sticks. Each student’s name is written on a chip and placed in a large jar. After asking a question and providing 3-5 seconds think time, the teacher pulls a chip and calls on the student whose chip was chosen. As with the popsicle sticks, once the student answers, he/she is not off the hook; the chip is returned to the jar. 6. Seating Chart: Instead of popsicle sticks, use a seating chart printed on a transparency sheet. Place the sheet on top of a piece of paper and attach to a clipboard. As you randomly call on students, use a Vis-à-vis wet erase pen to place a check or tally mark next to each student name to track your questioning. To start over, wipe the transparency and begin again. 7. 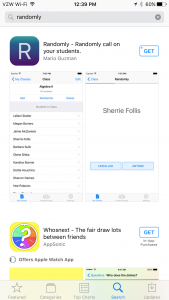 Amazing Apps: There are a lot of random name selector apps out there for teachers. Here are three I like and have found useful. •Kidpick: A fun and easy way to randomly pick kids and groups from a class. When kids are picked, teachers have the option to choose Correct or Incorrect to keep track of kid statistics and grades. Fun sound effects and easy to use. 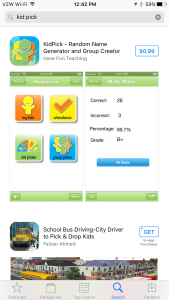 •Randomly: This app allows the teacher to enter his/her students into individual classes. After that, there are two ways the teacher can choose to have students selected: randomly, where repeated names are allowed, or a one pass, where all students are called once before they are called again. 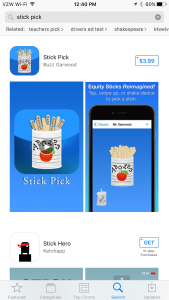 •Stick Pick: Allows the teacher to pick a student at random with just a tap, swipe, or a shake. Also provides question starters for learners at different levels and records how well students respond during classroom discussions. What are your thoughts and ideas? We’d love to hear from you in the comments! • Which methods have you tried as alternatives to raised hands? • Are any on the list new to you? • If you were to choose one new method from the list to try, what would it be and why? Carrie leads the Side-by-Side team, working in schools and districts, supporting consultants, and ensuring that clients receive the highest quality support possible. 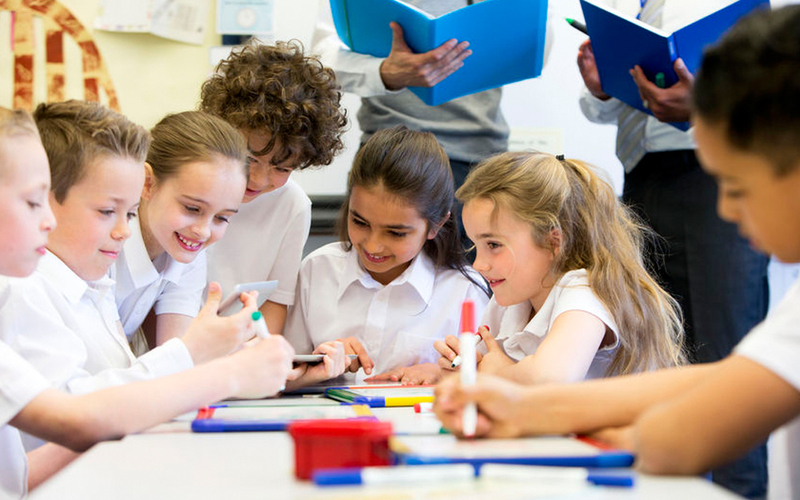 20 Active Participation Techniques to Supercharge Your Lessons!